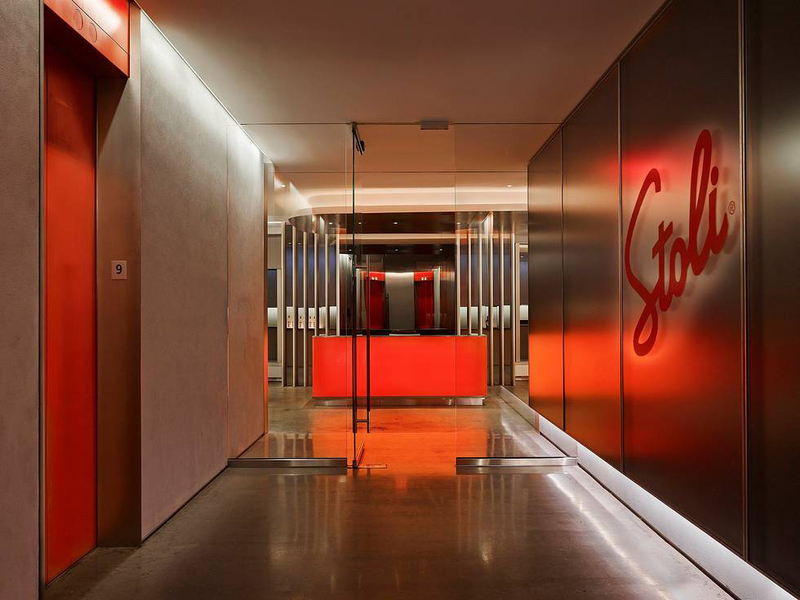 We’ve worked with some of New York City’s top designers in creating stunning atmospheres for business offices and showrooms alike. 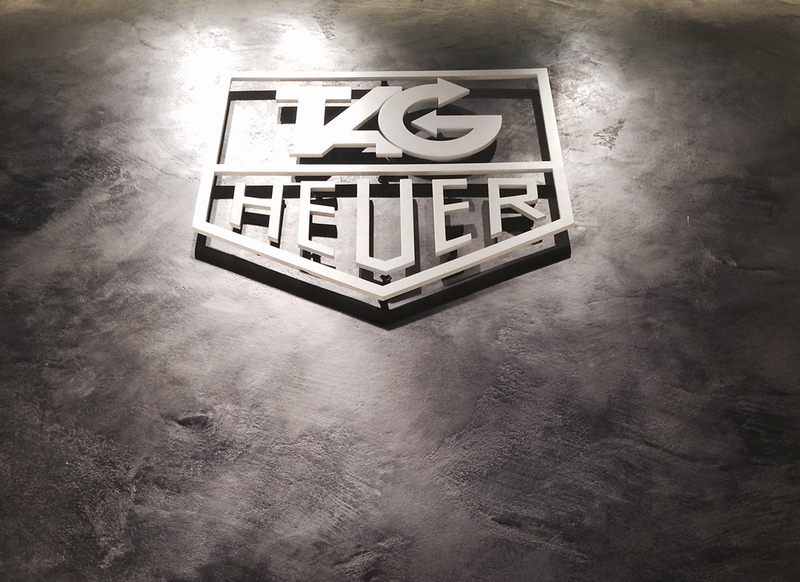 Our clients have included Tag Heuer, Stoli, Chilewich, Kimbery Hotel & many more. Click slides to see all photos of the property. 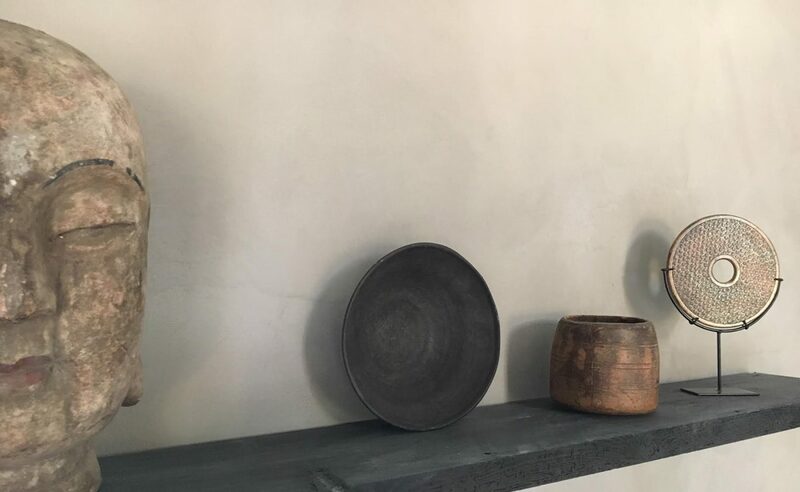 The Shou Sugi Ban House is a destination spa, offering ACS the opportunity to develop a range of wall finishes through 29 rooms, from pure white plaster bathrooms and limewashed bedrooms to a distressed smoky truffle plaster in a Healing Arts barn inspired by the principles of Wabi Sabi. The spa was featured in the New York Times. 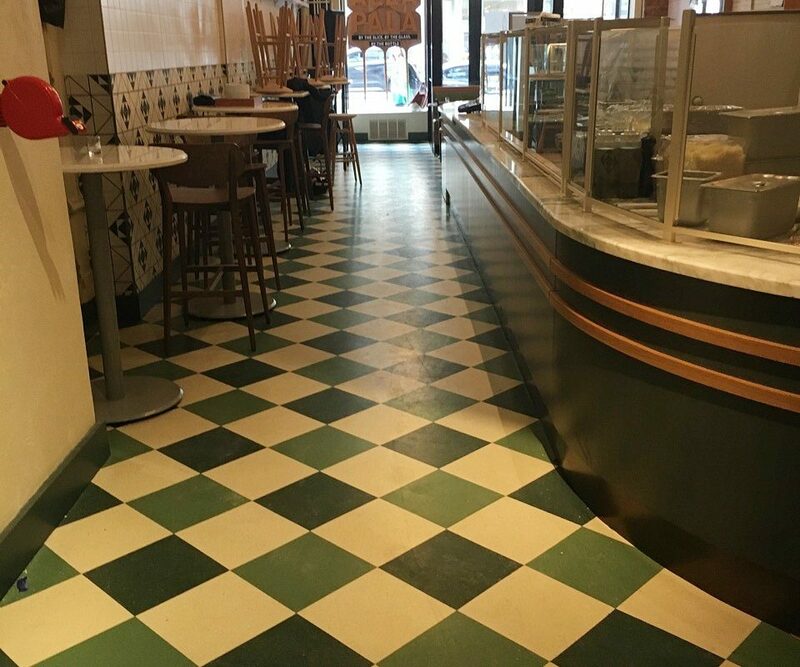 Hand painted Harlequin tile floor. 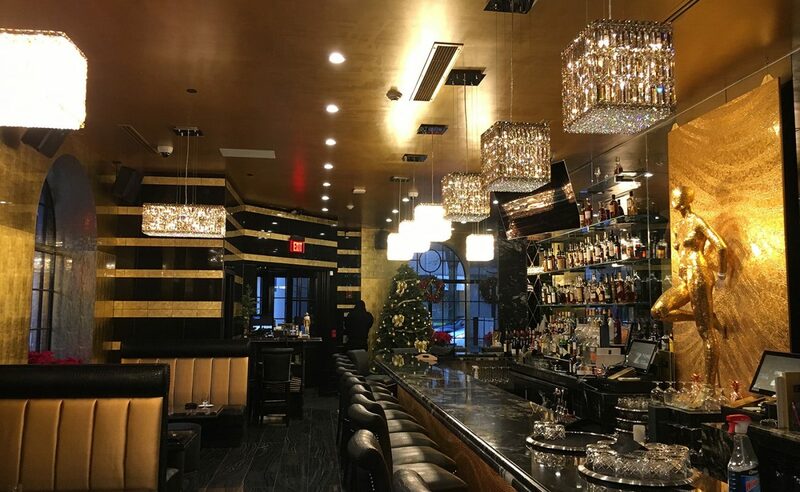 We painted the gold ceilings and lush interior of the Z Prime Italian Steakhouse, including their Platinum Silver Lounge. 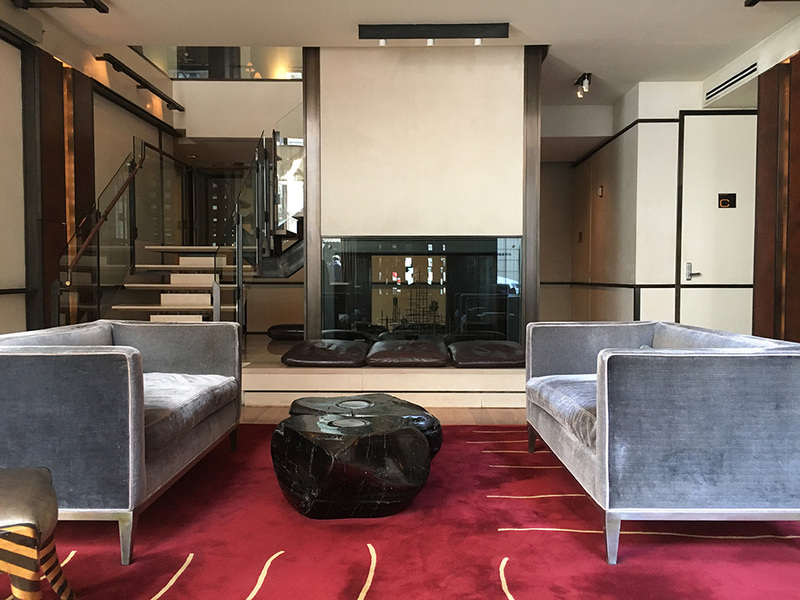 Lobby: Classic white Venetian plaster with ‘Mother of Pearl’ micas. 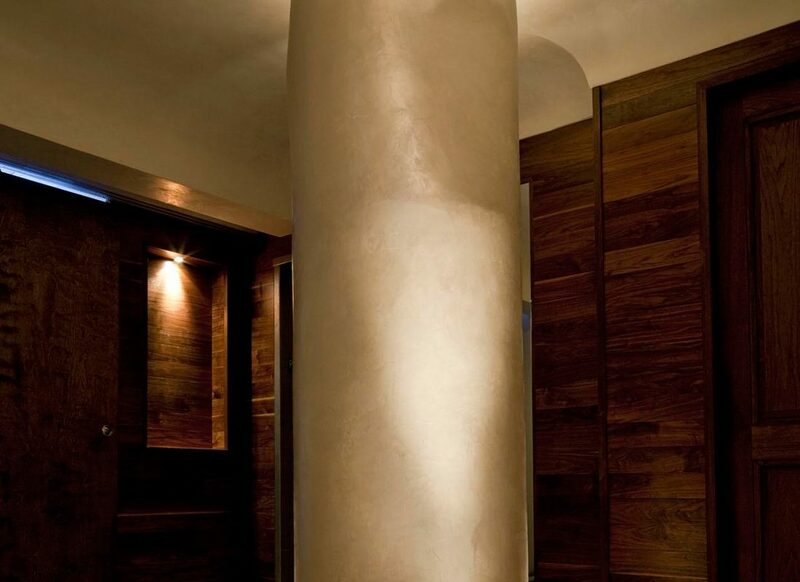 Design Republic designed a distinguished NY showroom that included a Moongold Trowelled Metallic dropped ceiling and contemporary Terra Grosso artisanal plaster walls. The walls called for gun metal burnished black artisanal plaster. 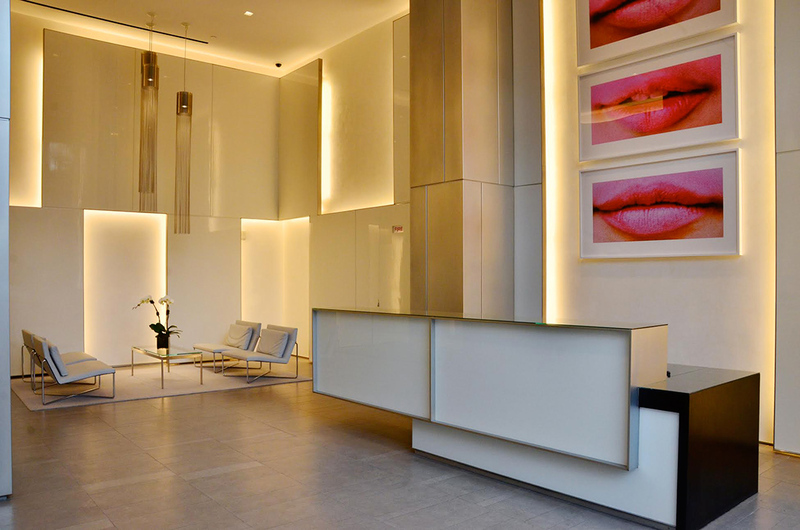 Location: Miami Design District showroom. Rooftop VIP lounge at the Kimberly Hotel. 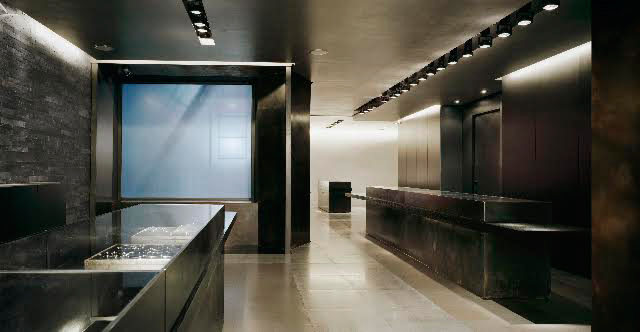 Chilewich creates innovative products from their own textiles which enhance interiors. 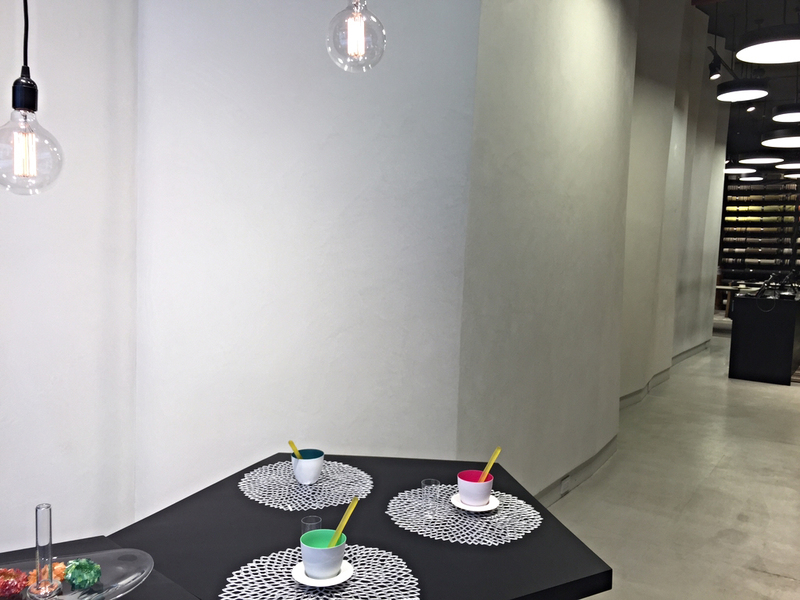 For their chic, modern showroom we delivered walls in a White Carrara / Breccia blended plaster. 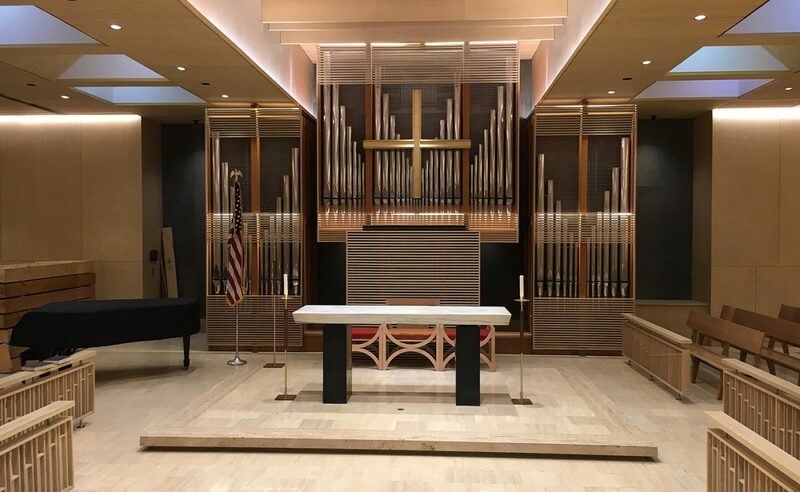 Located on Park Avenue in New York City. 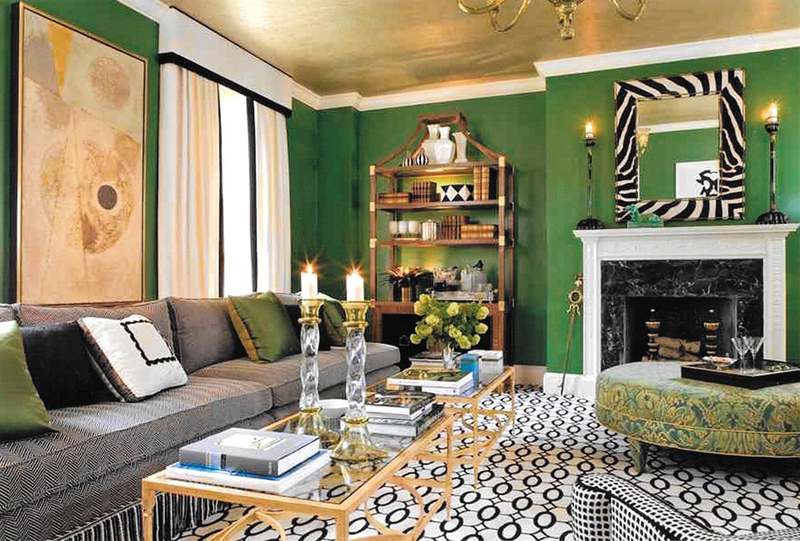 In this room, designed by Sherril Canet Interiors, we employed a layered iridescent and metallic green glaze. 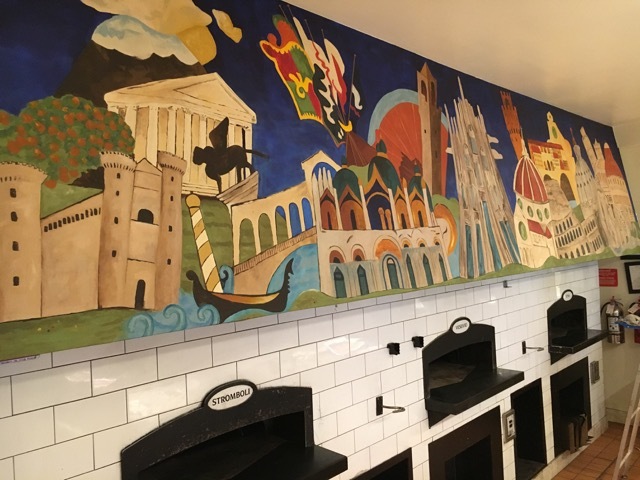 A 21 foot mural completed and installed at Naples 45 restaurant mid-town Manhattan.